The Voice Memos app on iPhone offers an easy and quick way to record your own voices, conferences, songs, interviews or any other nearby sounds. Moreover, you can transfer voice memos to your computer and other devices via Email, iTunes or a special iOS data transfer tool. But you may find that you can’t open iPhone voice memos with other devices or video editing software since iPhone formats its voice memos as M4A that isn’t supported by many applications and platforms. The best solution to solve this problem is converting voice memo to MP3 and the article offers you three methods to do the conversion. The simplest way to convert voice memos to MP3 files in batches. It’s quick, easy and perfectly compatible with Windows computer. 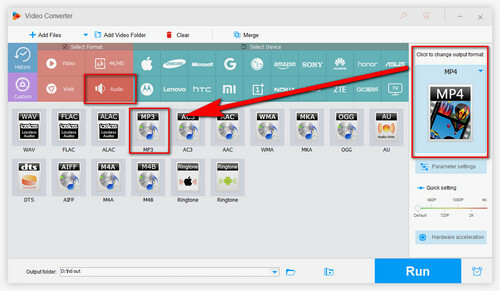 WonderFox HD Video Converter Factory Pro is a professional video & audio converter that can recognize virtually any audio file you throw in and convert them to over 300 digital formats and devices. Moreover, it supports batch conversion mode and hardware acceleration for the rapid conversion speed. It’s a user-friendly tool and every feature is self-explanatory. 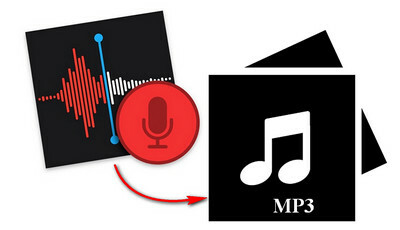 The following tutorial explains how to convert iPhone voice memo to MP3 with the software. Click on the Add Files button on the top left corner, browse and select voice memo files you want to convert to MP3. You can also directly drag and drop files from your computer into the window. Press the Output Format button on the right and it will list all the video /audio formats and devices you can convert voice memos to. Go to the Audio tab and select the MP3 icon to convert voice memo to MP3. Tips. As the image shows, you can also convert audio to WAV, convert audio to WMA, and so forth. Moreover, the software enables you to change MP3 bitrate, normalize audio, change audio channels from Stereo to Mono, etc. Click on the yellow folder icon on the bottom to choose an output folder for saving the converted MP3 files. Finally, click on the Run button to start the conversion process. Step 1. Open iTunes, and go to the Music section where your voice memos can be found. Step 2. Click on the Edit button on the menu bar, select Preferences, and click on Import Settings under the General tab. Step 3. 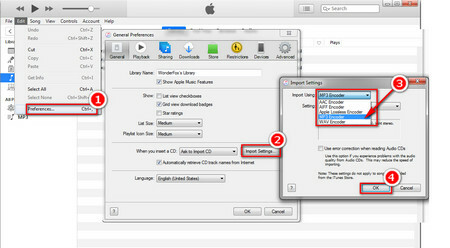 Open the Import Using drop-down list, and choose MP3 Encoder. After that, click on OK to save the settings. Step 4. Select all the voice memos you want to convert to MP3, click on the File button on the top left corner, select Convert > Create MP3 Version. It will start the voice memo to MP3 conversion process. 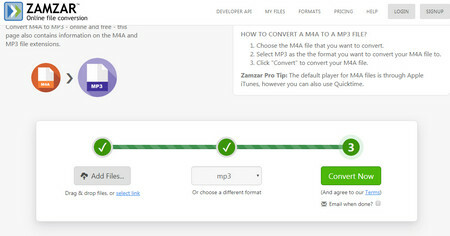 Once the conversion is finished, you can check the converted MP3 files in the output folder. Tips. If you are not sure the path of the output folder, click on Edit > Advanced. You can also change the output path. How to convert voice memo to MP3 without iTunes or installing plug-ins? Online audio converters are good options. Many websites allow converting videos and audio files online and here we have selected four popular websites for your reference. 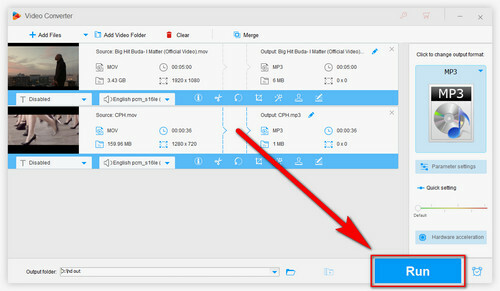 Just upload your voice memo to the site you prefer, choose MP3 as the output format, and click on the Convert button or something like it to start the process. Finally, download the MP3 file to your computer. However, compared with desktop solutions, online converters are obviously slower as the conversion speeds are affected by net connections and unstable servers. In addition, some websites have the maximum upload file size limits. There are various methods of how to convert voice memo to MP3, and the three typical methods above are well-tested and useful. 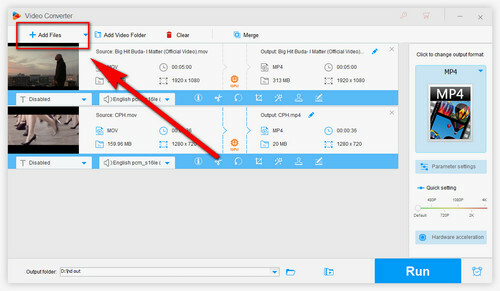 WonderFox HD Video Converter Factory Pro doesn’t have the requirement of the good network as well as file size limits, and it performs in the most concise way so it’s the most recommended solution to for the conversion. Recommended Software: Copy DVD to MP3, M4A, WAV, FLAC, etc. 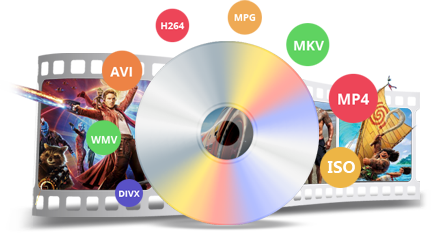 The top-rated DVD ripper enables you to extract audio from DVD and even convert DVDs to kinds of digital video and audio formats. The 1:1 quick copy DVD to ISO image feature makes it easier for DVD collection backup.